While no one can dispute the effervescent joys awaiting a Queensland holiday on the Gold Coast, we’re here to represent the flourishing Sunshine Coast and all it has to offer. Check out this handy roadmap of things to do in Noosa and embark on a jaunt into the sprawling, salty wilderness of the Sunshine Coast and beyond. You need to keep your spirits and energy levels high so a holiday is definitely not a good time to go cold turkey on your caffeine addiction. Luckily, the Sunshine Coast has a bustling café scene. And while we’re talking mornings, let’s not forget to refuel with a hearty breakfood. 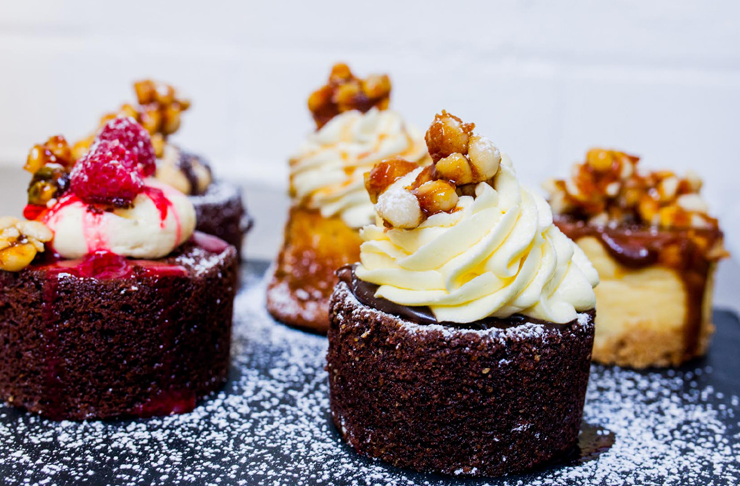 Here are the best cafes in Noosa et al for your eating pleasure. The Shak’s all-day menu operation is a multi-satisfactory display spanning everything from raw zucchini noodles to a 14 hour braised beef Dude Burger. Its major selling point is as an organic café and wine bar so you know it’s good for you, but not, like, TOO good. Another incredible breakfastery moonlighting as a bar is Maroochydore’s Little Boat. Their breakfast menu promises things like dippy eggs (finally) and a fairly brazen Japanese green pancake. The latest permutation of their Friday night menu included tacos, tostadas and popcorn chicken on waffles, so there’s that too. Completely perfect for goalkickers, cycle through the breakfast and lunch options at The Velo Project and get a load of the specialty buckwheat crepes. Velo also has an expansive tea cabinet (offered in iced carafes for days of swelter), the strange and charming green tea and dandelion lattes, and supercharged Vietnamese coffee that’ll keep you awake for a week. And they care about us! They really, truly care! I don’t want to scare you, but Tome’s cake situation is pretty insane in the membrane. The multi-layered wonders throw shade on all the other bakes such that Tome is now getting hit up for wedding cake commissions. They take their coffee seriously too, which is great because so do we, and even the wee sweets and muffins look as good as they taste. Every bite after brunch counts, and just because the Sunshine Coast is home to so many exciting and wonderful nosh prospects doesn’t mean you have to compromise your beach munchlist: gelato, pizza, fish and chips, and just a little swank to treat yo self. Serving up some of our favourite Sunny Coast pizza this snappy little character roosts a little out of the way, but a scurry through the underbrush is seriously worth the effort. The vibe is casual, the bases are thin, and the menu fall nothing short of glorious. 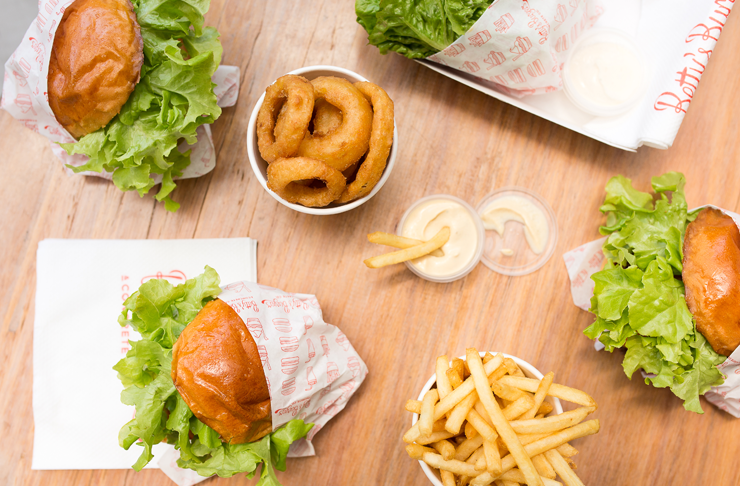 For classic burgers and quality chomp, Betty’s Burgers & Concrete Co. is the only place you’ll have to remember. Hoe into a maxim burg and finish yourself off with the softest, creamiest concrete you’ll ever slather in caramel sauce; fully customisable with a compendium of mix-ins. No sojourn to the Pacific is even partially complete without a shared feed of fish and chips, and no spread of fish and chips can be complete without a heaping of potato scallops. RayJays’ potato scallops are homemade and make your insides bounce around with glee. The incredible menu and sterling reputation that Wasabi so enjoys rests entirely on the skill of their chefs, the freshness of their seafood, and the seasonal produce sourced from Wasabi’s own local farm, Honeysuckle Hill. Wasabi even offers cooking classes to give you the confidence and delusion that you could totally recreate their Omakase menu at home. The Sunshine Coast has also got plenty of severely cheap eats put you in good stead and leave spare change for road snacks on the journey home. When you’re in the Noosa proxy, every sesh is a Sunday sesh. Some particularly choice elixirs and concoctions lie embedded in the northern stretch of favourite bars and drinking dens. 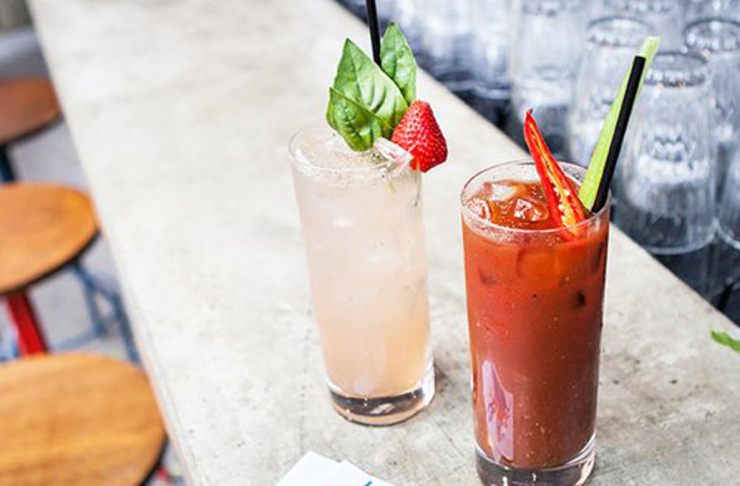 This arctic-chilled addition to the Noosa bar scene is fraught with ingredients to unwind. The drinks are smashing and their variety of soft-shell tacos go nicely with the mellow, local ambience more soothing than the whimsical chimes of a distant harp. All your jazzy needs reached maximum satisfaction when Nambour’s Bison Bar began trading and the locals have never looked back. The fit out channels a 1920s mood and every cocktail is like art in a glass, perfect the calm the hackles of steaming little beasts. Another day-to-nighter that will sort you out quicksticks is Mooloolaba’s Gainsbourg. This all in one delivers on its promise of food, wine, beer and espresso which makes it dangerously easy to come for brunch and stay for final call drinks. Tired of the queues? Sick of having to share the beach with 3000 other clowns? Evade the holiday hordes cluttering up the main drags and make a run for some of these out-of-the-way spots. This is the ‘beyond’ we promised you. A spot of scene change at Bribie Island or Rainbow Beach is just what you need if chill-factors a dwindling in the low extremes. Best of all, every one of these locations is totally on brand with your holiday wardrobe (with the notable exception of Brisbane City, but you’re not feeling that homesick are you?). A more mountainous and salt-reduced escape awaits the semi-adventurous holiday goers in the surrounding hinterhills. Get back in touch with your love of scaling gruelling inclines with a modest trundle up these hiking trails, and work in a nature ramble on your way back down. Alternatively waive the Aerogard and winkle out some ‘us time’ with someone special. 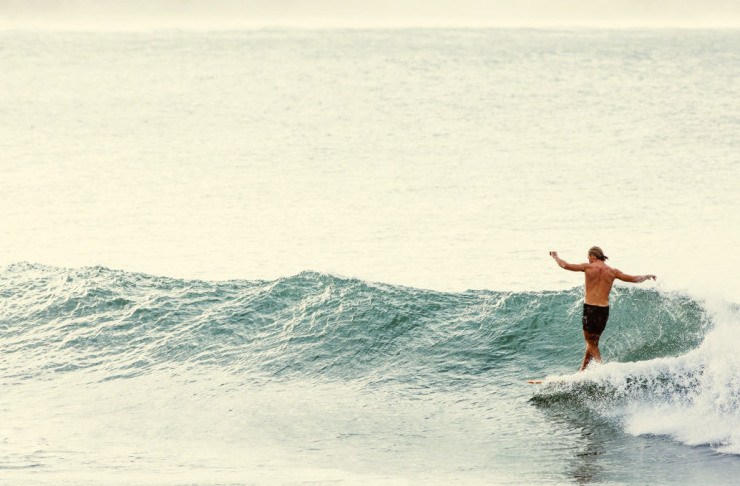 Looking for more things to do in Noosa? Check out our sweet sister website Metropolist: the fabulously fun guide to all the best things to eat, see and do on the Sunshine Coast!